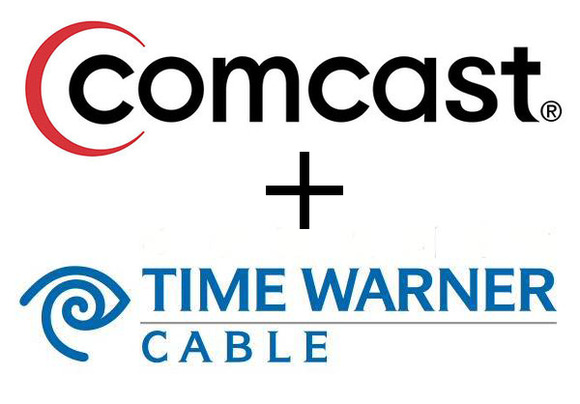 Comcast’s proposed purchase of fellow cable television and broadband provider Time Warner Cable would give it even more leverage in an Internet backbone market where the company has already begun extracting tolls from competitors, a backbone provider said Thursday. Comcast’s proposed $45.2 billion deal would “threaten the innovative and entrepreneurial character and future of the Internet,” said Dave Schaeffer, chairman and CEO of Cogent Communications Group, a backbone provider recently bypassed in a deal in which Netflix agreed to pay Comcast for faster access to its broadband subscribers. The proposed merger has “the potential to cause grave anticompetitive and consumer harms for tens of millions of Americans who require access to high-speed, high-quality, affordable broadband Internet access,” Schaeffer told the U.S. House Judiciary Committee’s antitrust subcommittee. Comcast Executive Vice President David Cohen dismissed Schaeffer’s concerns during the hearing, saying it was Netflix’s choice to bypass Cogent and sign a traffic priority deal with Comcast. Comcast’s gain in broadband market share through the Time Warner deal shouldn’t have “any impact whatsoever” on the separate Internet backbone market, Cohen added. But Schaeffer told a different story, saying Comcast has already used its position as the largest U.S. broadband provider to get favorable peering agreements. Since mid-2012, when Cogent and Netflix signed a deal, Comcast has refused to make inexpensive improvements to its connections with Cogent—and has refused Cogent’s offer to pay for those upgrades, he said. Antitrust authorities don’t need to look at the Internet backbone peering market, countered C. Scott Hemphill, a professor at Columbia Law School. Payments to exchange Internet traffic are not new, although in many cases, the payment was a simple exchange of traffic, he said. “What’s really going on is a fight about who should pay for what in this highly competitive business of interconnection,” he said. Schaeffer’s criticisms of Comcast’s interconnection policies echo recent complaints from Netflix and from backbone provider Level 3. While Netflix signed a deal with Comcast, executives there have complained about paying Comcast to deliver traffic and called for the U.S. Federal Communications Commission to pass strong net neutrality rules prohibiting pay-for-priority arrangements. This week, backbone provider Level 3 accused six unnamed broadband providers—five U.S. and one European—of deliberately allowing congestion on their networks in an effort to extract payments from widely used Web services. The backbone peering controversy is also tied to an outcry in recent days after FCC Chairman Tom Wheeler announced new net neutrality rules that would allow broadband providers to engage in commercially reasonable traffic management. Many consumer groups and Internet companies have called on the FCC to pass stronger rules that would prohibit pay-for-priority traffic arrangements. 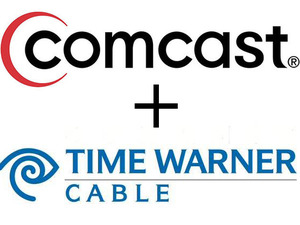 Several committee members said they are concerned that the Comcast acquisition of Time Warner could raise cable or broadband prices, or give Comcast an incentive to discriminate against online content that competes with its own NBC networks and on-demand video service. Does Comcast compete with Netflix? While it may be difficult to kill the deal using existing antitrust law, it raises questions about Comcast’s competition with Web-based video, said Representative Darrell Issa, a California Republican. Old antitrust questions may not cover the issues raised in this merger, he said. Issa questioned if net neutrality rules Comcast agreed to during its 2011 acquisition of NBCUniversal would require the company to carry Netflix through its X1 on-demand video service, delivered through a TV set-top box. Video delivered through set-top boxes is not covered by that agreement, Cohen said. The X1 is a cable service, not a broadband service covered by net neutrality, he said.